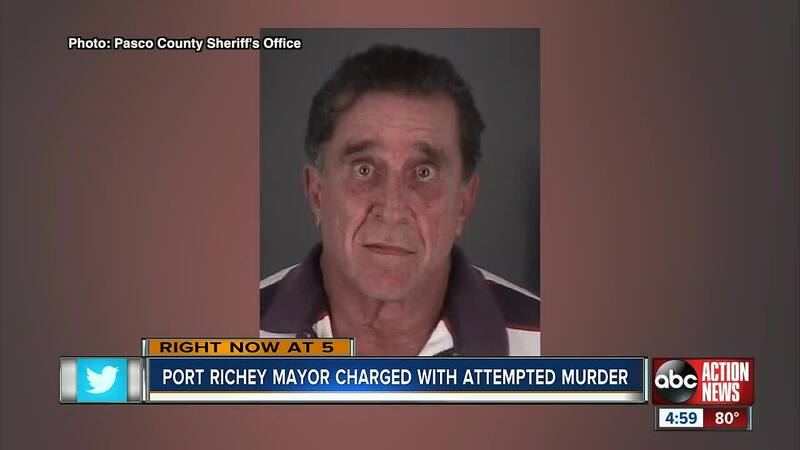 PORT RICHEY, Fla. — Port Richey Mayor Dale Massad is charged with attempted murder after shooting at a Pasco County SWAT team Thursday morning. Massad has been charged with attempted murder. Caj Jospeh calls Dale Massad her hero, but says her boyfriend was scared when a SWAT team shot through the front door before dawn. “I ran into the closet because I was scared. I thought we were getting killed. I thought somebody was coming into to murder us or something," she said. She says they didn’t know it was law enforcement. Massad was upstairs when he fired his gun while the deputies were still outside. 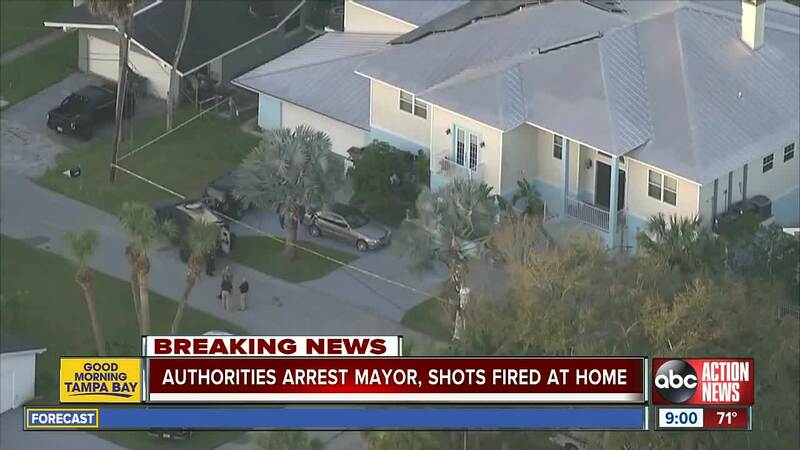 Friday, Massad’s attorney told a Pasco County judge the shots were not premeditated, but the judge still denied the mayor a chance to bond out of jail. At City Hall, the reorganization of the government is still going on. “The city managers still in charge of the city. And I believe somebody on the city council will temporarily take the seat of the mayor," said Police Chief Gerald DeCanio. The police chief says they were first tipped off that Massad was practicing medicine without a license, but handed the case over to FDLE. “We’ve been accused in the past of favoring the mayor. And we didn’t want any improprieties," said DeCanio. As for Joseph, she says she’s known Massad for 30 years and he’s a good person with Port Richey’s best interest at heart. Meanwhile, Florida's Chief Financial Officer (CFO) Jimmy Patronis tannounced he has directed his fraud detectives to investigate any alleged insurance fraud relating to Massad. On Friday, Massad appeared in a Pasco County court where a judge denied bond. 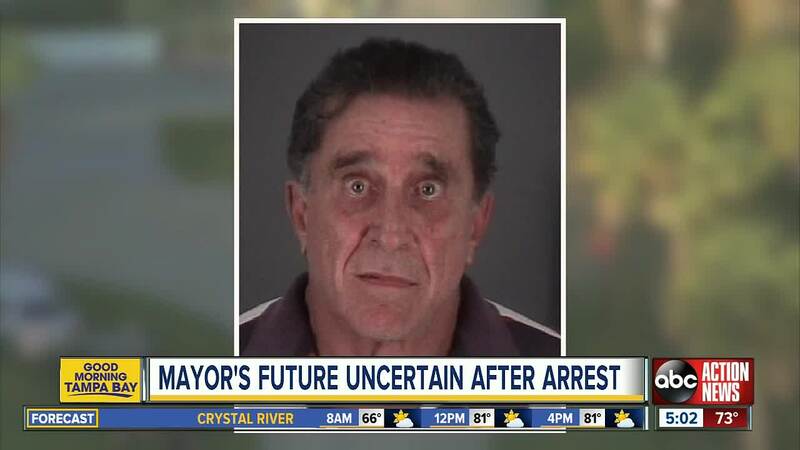 He will remain at the Land O' Lakes jail. “Nobody is above the law. It doesn’t matter what your position is. Everybody is going to be held accountable," said Nocco. Massad is also being investigated for insurance fraud. In December of 2017, Massad removed a fish hook from a "patient" who returned to him in April of 2018 to get a shot of cortizone, according to the arrest affidavit obtained by ABC Action News. On August 24, 2018, another "patient" came to Massad for a "surgical procedure" to close a laceration on his left ankle. During that procedure, Massad administered a local anesthetic and gave the "patient" stitches. One recent treatment sent a patient to the hospital. FDLE along with Pasco deputies came to Massad's home early Thursday morning with a search warrant. Cindy Stark lives nearby the mayor’s home. “I am totally disgusted. It just blows my mind that we could elect a leader that would not only be breaking crime. But shooting at the police," said Stark. “I’m not surprised. 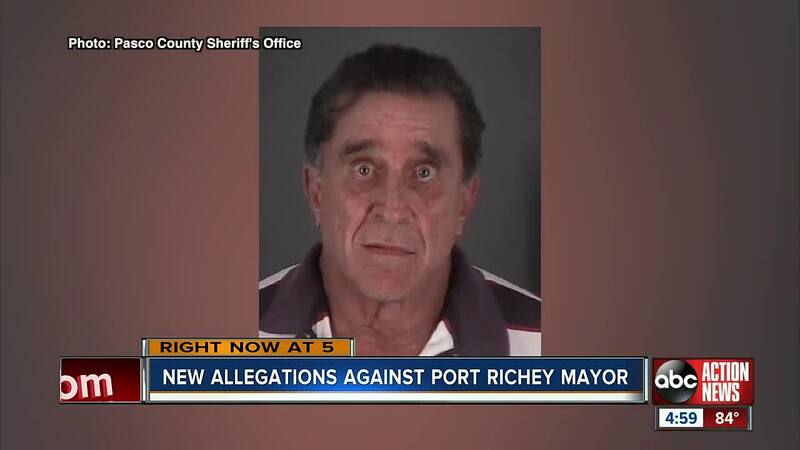 I’m not happy about it, you know,” said Bill Columbo, former Port Richey City Council Member and Vice Mayor. Columbo says Port Richey will rebound and is confident no matter what happens with Massad, other city leaders will step up. “My concern would be the stability of the city and the morale of the city employees and the welfare of the citizens," he said. 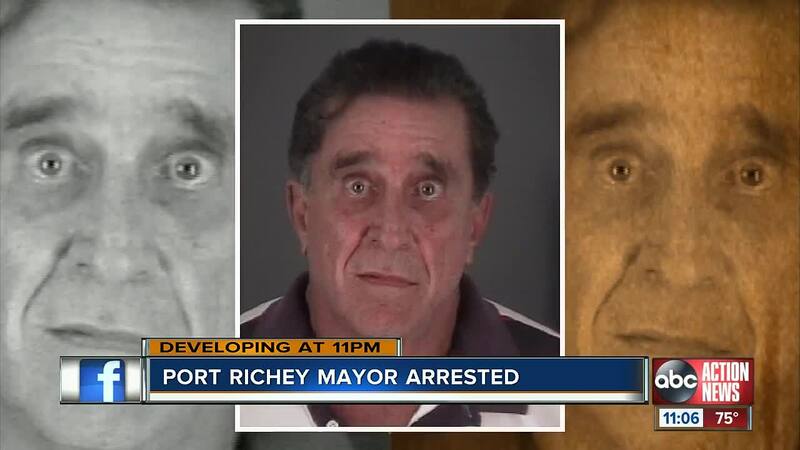 Last year, ABC Action News reported in depth on Mayor Massad’s legal troubles. We found that police had been called to his home dozens of times. Then in August he and a girlfriend were both arrested on domestic violence charges. Massad later told us that was one of the worst experiences of his life. “The main thing I learned from the jail is I don’t want to go back," he said. 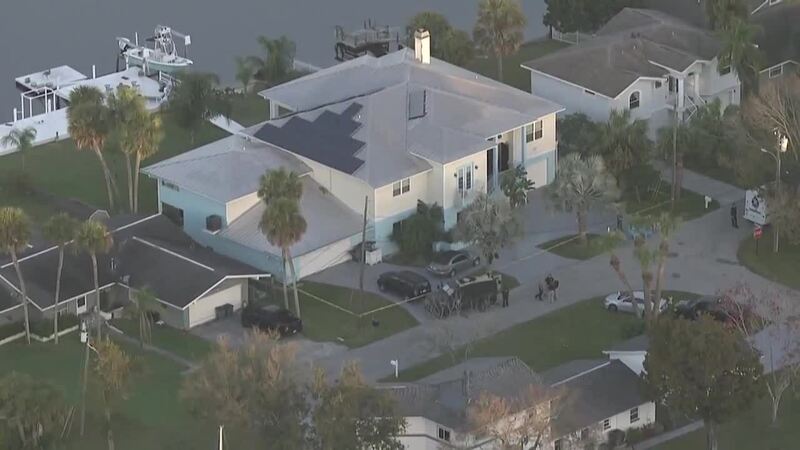 The Pasco Sheriff’s Office says Massad was a known drug user and had guns in the house. He admitted to us he’d even fired a gun inside. “I shot one of my smoke detectors because I couldn’t get up there to get it. It wouldn’t go off and it was 3 a.m.," Massad said. Deputies say three other people were inside the home, but so far there are no other arrests. We reached out to other Port Richey leaders, but haven't heard back from any of them. 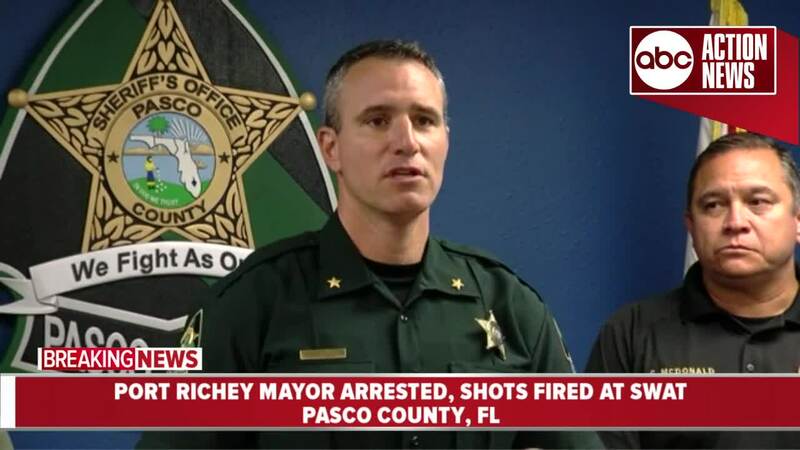 Massad was taken to the Pasco County Jail and Attorney General Ashley Moody's Office will handle the case, according to FDLE. On Friday Massad officially resigned. according to the Pasco County Supervisor of Election's Office. This comes after Governor Ron DeSantis issued an executive order suspending Massad.